There are few exceptions to the reality that small = speed, big = slow. Yet, too many organizations spend their time making the excuses that lead them to failure, rather than focusing on the ideas that will define success. They are structured for failure. It will only get worse in the era of acceleration. Here’s why – watch an organization vote in real time for the attitude failure embedded in the organization. Get around your innovation killers. 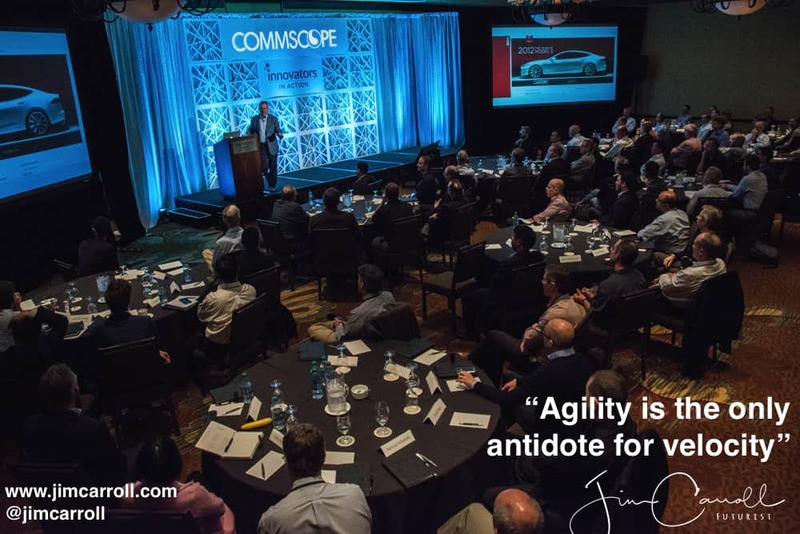 Be agile! Focus on speed! Get inspired, every day! I start my weekday morning with my coffee, my laptop, and a stage photo. I’m hitting the ground typing, thinking of the thought that should drive your day forward. It’s the very first thing I do! And I’ve been doing this since September 2016. Each business day, you’ll discover a new motivational stage quote posted to Instagram, Twitter, Facebook, LinkedIN, Pinterest and Flickr, having to do with disruption, innovation, the future, trends, and your mindset. Over 50,000 people now get this little nugget of insight each and every day! LinkedIn: aka The Thinking Mans Facebook. I’ve been using LinkedIn more, and am posting a regular series of daily video clips there as well! My Newest Book: Think Big, Start Small, Scale Fast! For just over a year, I’ve started every workday morning with a cup of coffee, my laptop, and a photo from one of the stages on which I’ve appeared. I’m thrilled to say that magically, this little bit of morning mediation has now turned into my next book! Here’s the backstory – each morning, I find a photo from one of the countless stages on which I’ve appeared, where I’ve been busy talking about the future and trends. I spend some time, while sipping my coffee, thinking about the story that I was telling on stage for that particular photo. I wrap that story into an inspirational quote, work it into the photo, and release it into the world. The reaction has been pretty remarkable – it seems to be touching people! When released, the quote goes up on Instagram, and is automatically blasted out to Twitter, Facebook, Flickr, Pinterest, LinkedIn, and more. I figure that about now, the daily photo reaches about 50,000 people each day. The books goes behind the scenes on many of these photos — which really are my observations that people have on hope, fear, the future and change. As a futurist and a speaker, you are in a really unique situation to observe how people choose to cope with what comes next. Some do – many don’t. There are powerful lessons to be learned from how people react to the future, and how they deal with change. It’s been almost 5 years since I’ve released a book, and I am tremendously exited to be working on this one. What seems to be coming together is 25 years of insight from having the ability to share my thoughts on the future, trends, disruption and acceleration with over 2 million people from the stage. Video: When the World Gets Flat, Put a Ripple in It! Too many companies and professions, when faced with disruption and change, fall into the vicious trap of competing on price. 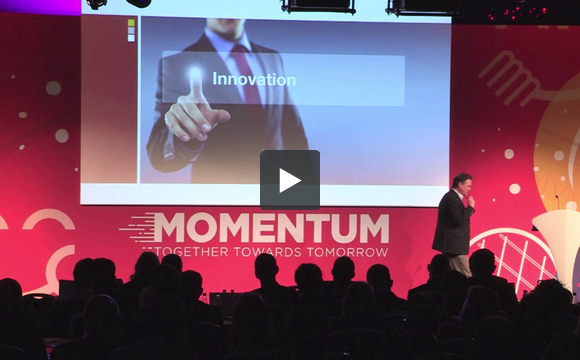 In this video from a recent keynote, I speak about the mindset and strategies to avoid this vicious hell – by elevating your role and services, in this case by speaking to a group of optometrists! The Evolution of Optometry from jimcarroll on Vimeo.